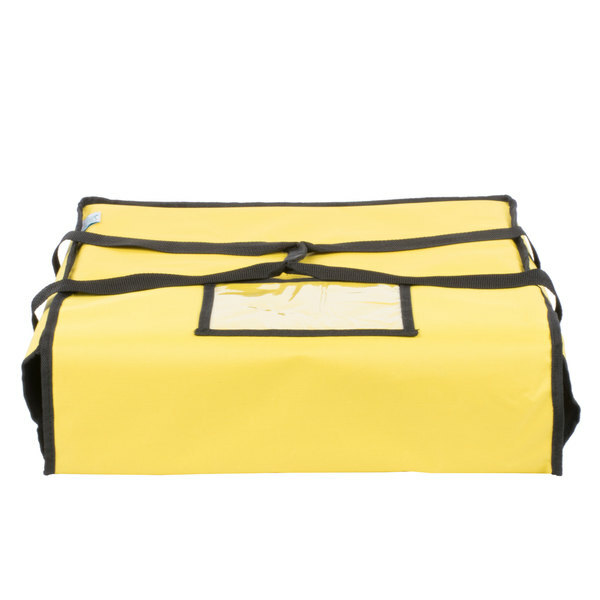 Choice Insulated Deli Tray / Party Platter Bag, Yellow Nylon, 18" x 18" x 5"
This Choice 18" x 18" x 5" insulated yellow nylon deli tray / party platter bag is a great addition to your next outdoor gathering! 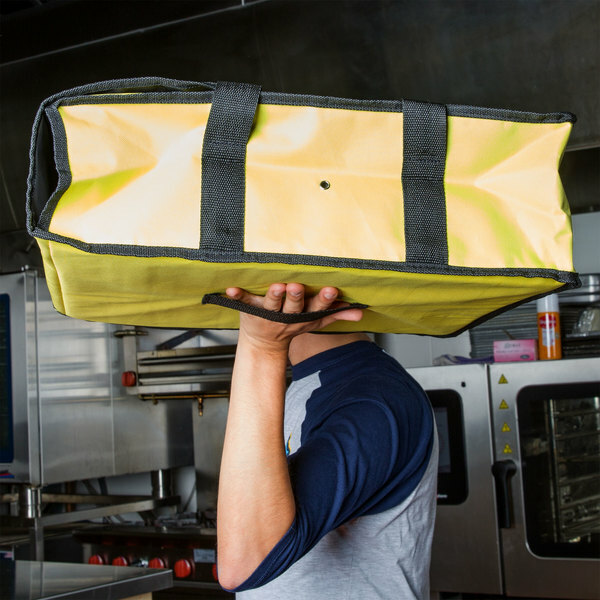 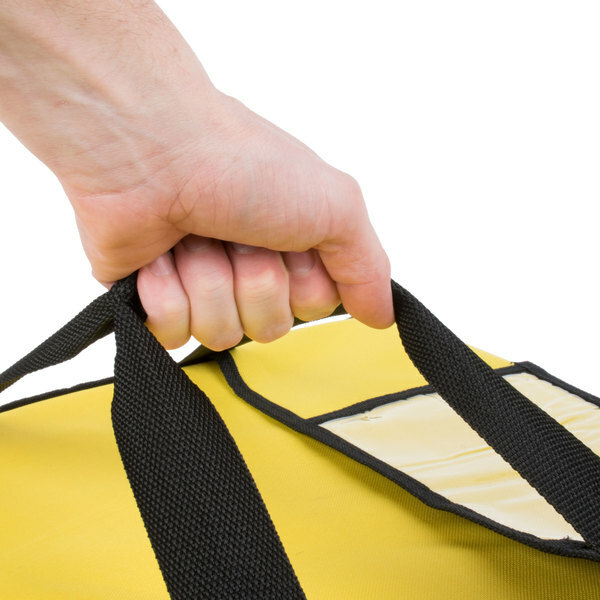 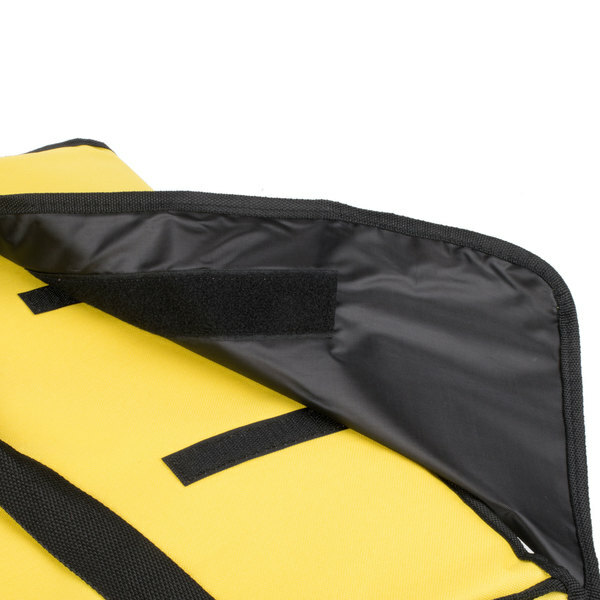 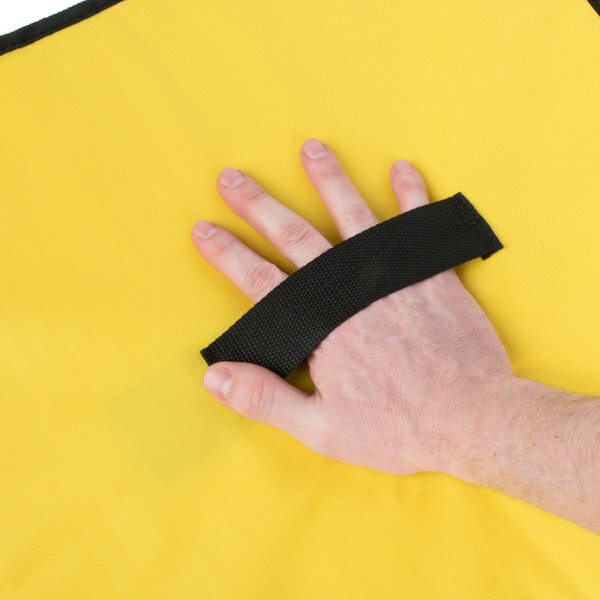 This versatile bag is designed to keep your orders at the desired hot or cold temperature throughout transport or service. 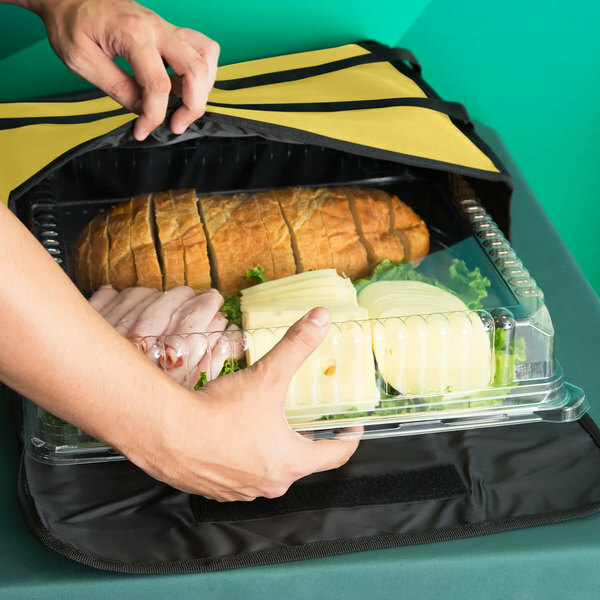 A roomy interior compartment is combined with a thick layer of foam that allows for effortless, worry-free carrying of subs, sandwiches, casseroles, pizzas, and even hinged lid take out containers from your kitchen to your event's location. 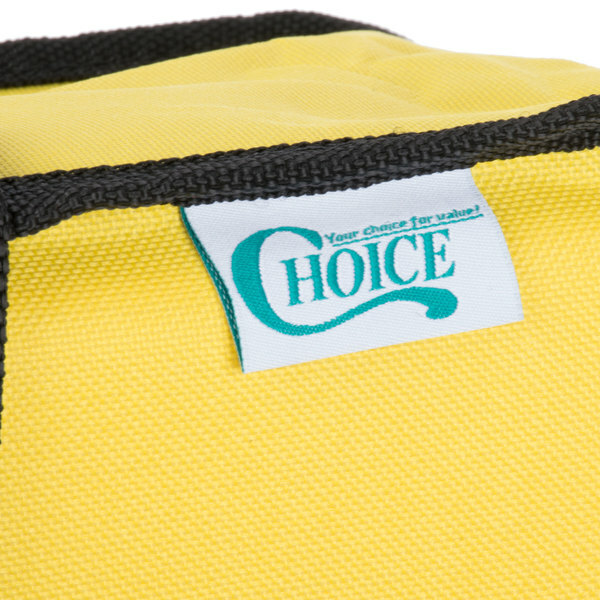 Reliable and comfortable strap that makes transport a breeze, even with heavy dishes. 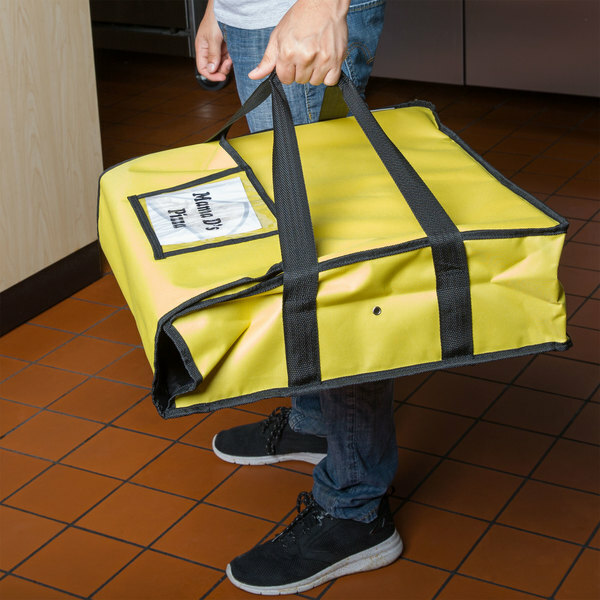 Pizza boxes or loose items slide easily in and out of the bag when placed on a flat countertop or table. 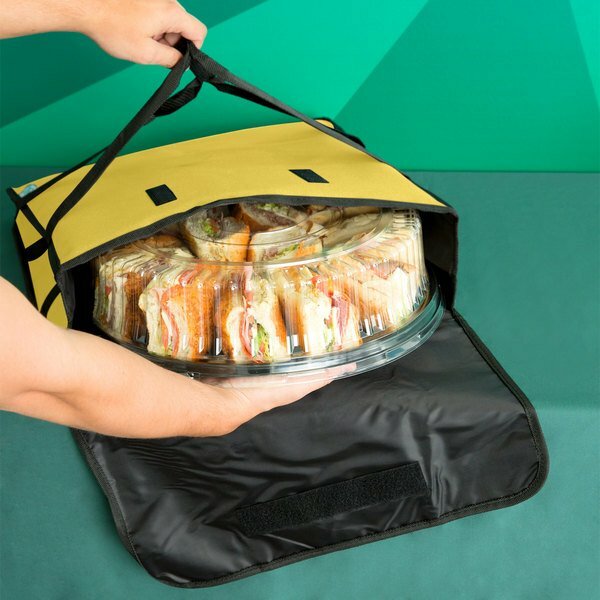 Secure closure locks your food in place for minimal movement during transport. 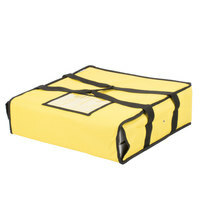 A thick foam layer keeps the bag insulated to keep orders at the desired hot or cold temperature. 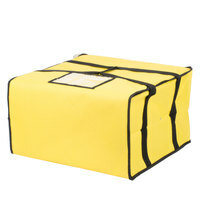 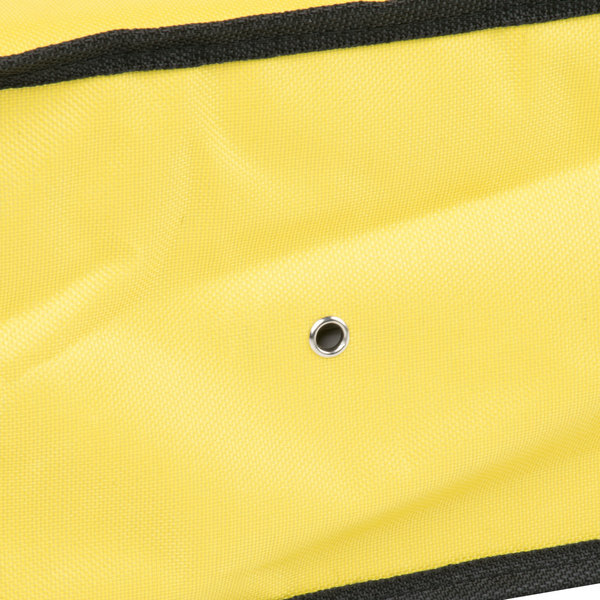 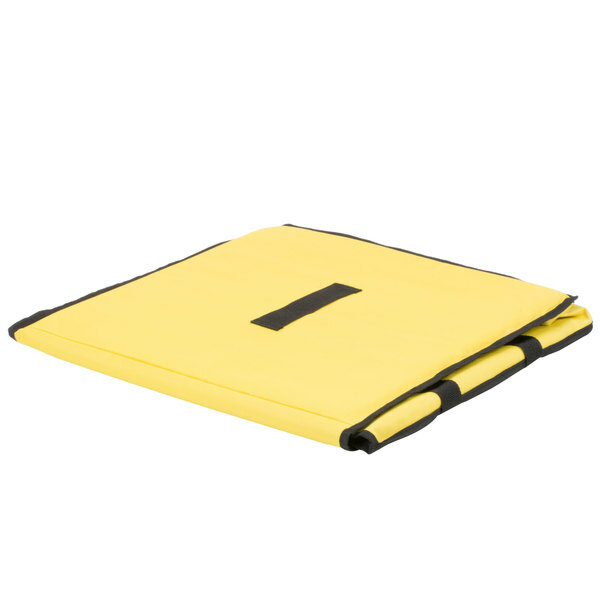 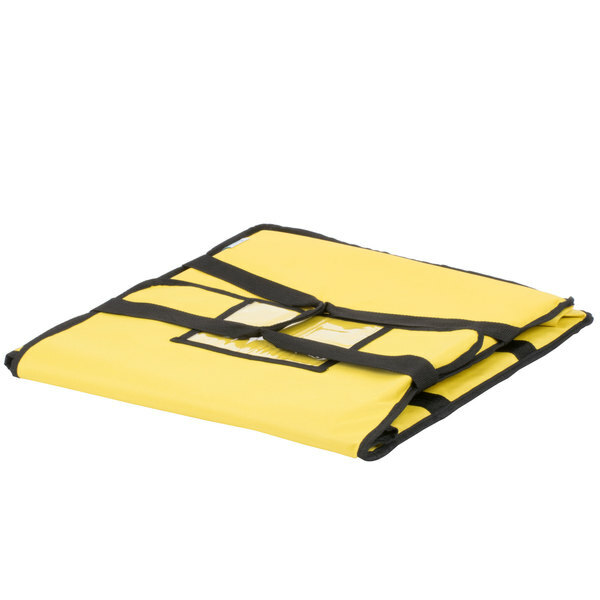 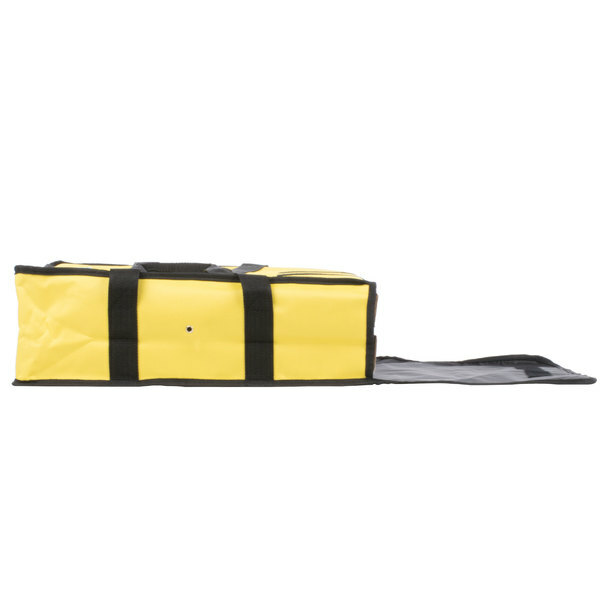 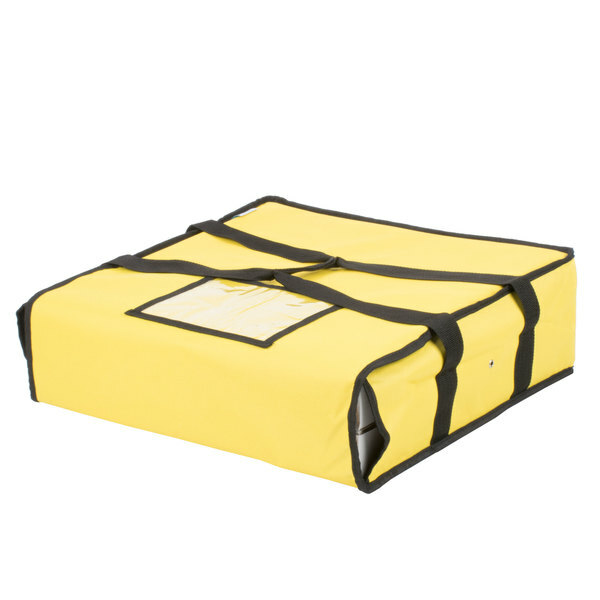 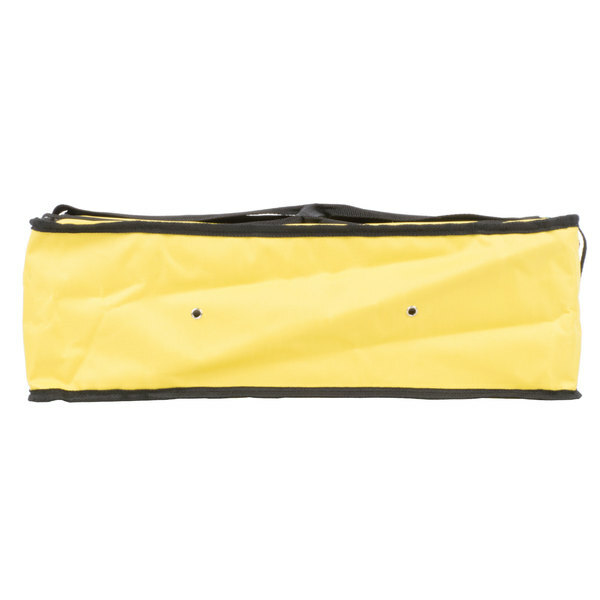 Item #: 124DELIBGNYE Choice Insulated Deli Tray / Party Platter Bag, Yellow Nylon, 18" x 18" x 5"